high-definition in-ear headphones that let you will hear the sound that havent exist in nowadays digital music. Monster Headphones include Monster Control/Talk for on-cable iPod/iPhone playback control, variable volume, tracking forward/back, play and pause as well as a built-in high-grade mic for crystal clear hands-free calling. 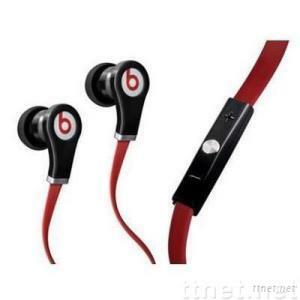 With Beats By Dr Dre Tour In Ear Headphones With Control Talk, you get the same amazing listening experience of the original Beats by Dr Dre Beats Tour, with the added convenience of a built-in Monster ControlTalk. ControlTalk gives you on-cable control of your music, as well as easy, high quality hands-free calling. Youll enjoy quick-access music playback control, like volume, play/pause and tracking, without having to dig for your iPod. Plus, the high-grade mic and sound-isolating headphones all combine to let you hear and be heard much more clearly than you ever could with your phone to your ear.